When I heard the stores were already stocking Halloween items I was indignant. 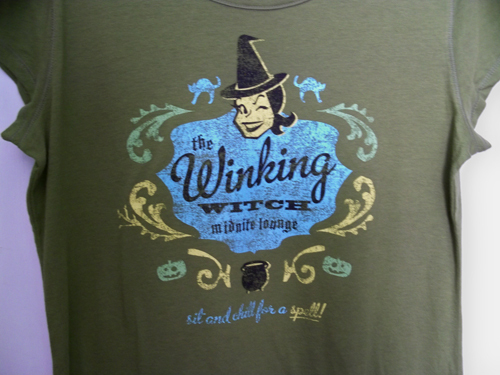 and a super soft Hallowen t-shirt from Target. Sucker I tell you! I've seen halloween items too. I guess it's almost September and some people decorate early for back to school and all. I have to tell you, I ordered the Serta memory foam topper after reading your blog. I LOVE IT!!! So so so comfy. Thank you! You saved both of our backs. I ordered a KING, and thought I could trim it to fit better - it looked like yours was a bit smaller then the mattress. We ended up leaving it as is, and it curves over the edges, looks a little like a mushroom. But the beauty of it is it doesn't slide around! omg i am GOING TO TARGET TODAY!!! I bought the Owl shirt. You know what, I went to Costco yesterday and they have all sorts of Christmas things for sale now. That was a little shocking! 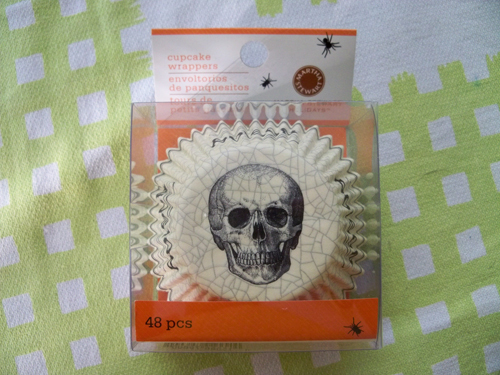 I love when the Halloween/Fall stuff comes out. It's just so different them the other holidays. I love the Target Halloween shirts. I am still kicking myself for not getting last year's Charlie Brown themed one.